Nothing exciting to report from the Australian Open yet — just the top guys creaming the rest till they get to their inevitable show-down. But Djoković did declare that he’s going into the 2015 and the Open with his marriage and new son bringing “new meaning” and joy to his life. …Djokovic said in an interview with the holiday edition of the Serbian daily Politika. Just one of those things that get me a little hopped-up. Not to mention that this kind of hetero-sentimentality from anyone else would make me throw up. But hotness has its privileges. 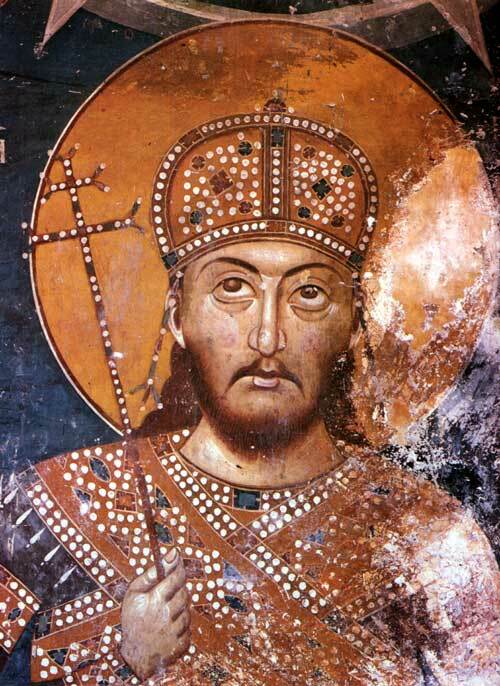 Tsar Stefan Dušan, fresco from the monastery of Lesnovo, XIV century.